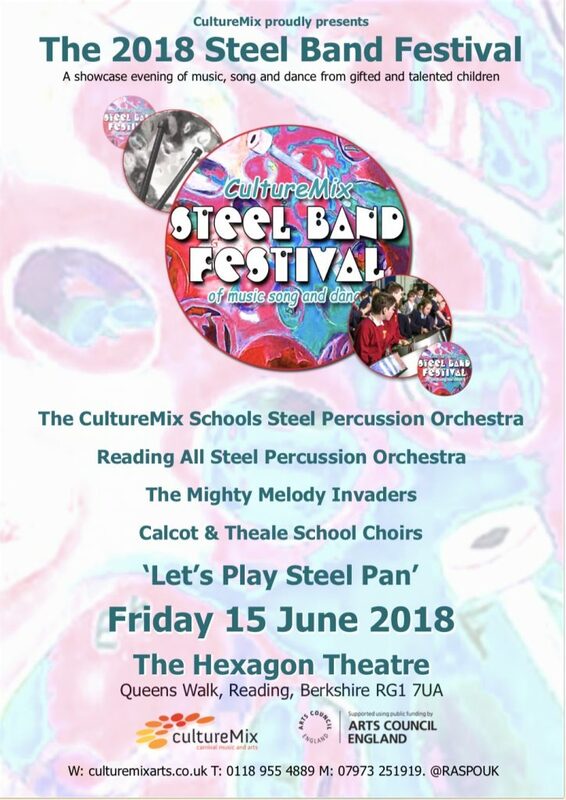 The CultureMix Steel Band Festival showcases the musical talents of hundreds of Berkshire children at an annual public concert. For 2018 the festival took place at the Hexagon Theatre in Reading on 16 June. With guest artist ‘The Mighty Melody Invaders’ a children’s reggae band from Western House Academy in Slough, and the virtuoso pan musicians of RASPO Ensemble, the CultureMix Steel Band Festival returned with a massed choir and steel band collaboration for a performance of an original piece written especially for the event. 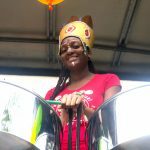 ‘Let’s Play Steel Pan’ is a song written for children’s choir and steel orchestra that tells the story of the musical instrument from its beginnings in the tiny twin islands of Trinidad and Tobago to a sensational global activity for all to enjoy. In this short film children and teachers talk about their experience of taking part in the Festival. All of the steel pans set up in rows. The conductor taps on the side of the pan. First they were oil drums wanted no more. Would cross the world to play – for you…. As the excited crowd – gather round. The cello pans talk such a beautiful sound. I just wanted to congratulate both yourself and your amazing team for a truly wonderful evening last night. Click here to find out more about the 2019 event, buy tickets for the show and how you can get involved. 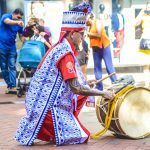 To deliver this spectacular event the CultureMix teaching team work with hundreds of school children in dozens of schools throughout the year who learn a repertoire especially compiled for the event. 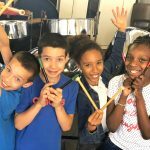 Hours of dedication, determination and practice enables the children from each school to join together for a performance premiere to an appreciative audience.